Thanks man, i love the VSHG platform once it can accept ls32. How long does it take to print those sides? 34 hours abducted and imprisoned in the saucer for their studies on the human race to further invasion plans…fortunately he escaped in one piece but not before using Alien tech to bring down to earth and share with us! Imported 2nd Impact’s: AO5 Falcon w/ Saint Seiya Artwork. Still no parts whatsoever lol but I’m looking forward to building this thing out. Just need to decide what direction I want to go as far as colors/theme (opinions?). 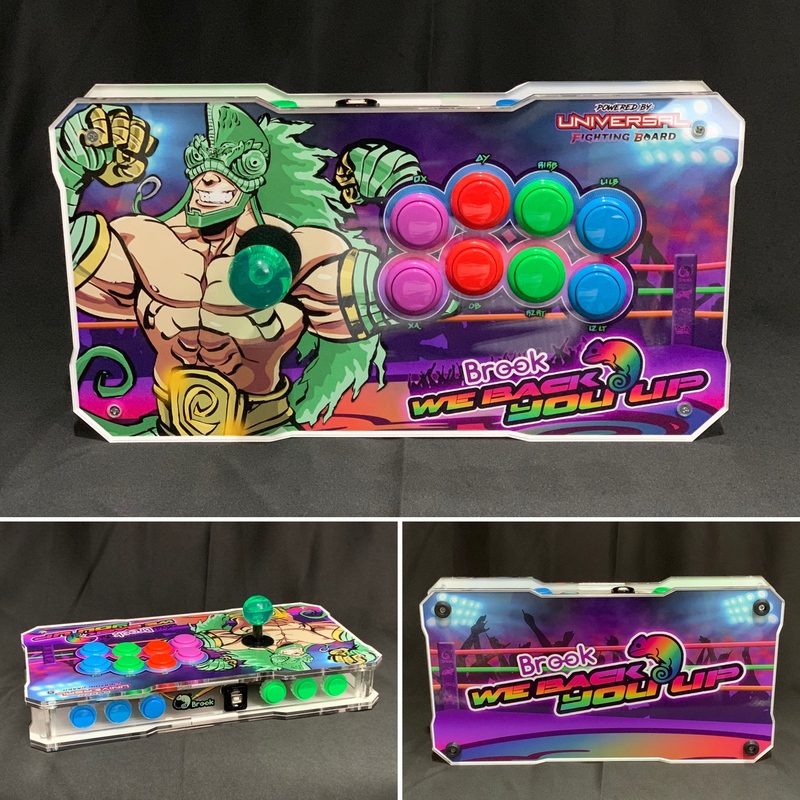 For the brains I might use the Hori mini PS4 pad, but then I’d likely need to add a SOCD cleaner, so maybe I’ll just get the Brooks PCBA or non-audio PS3/4+. This is my first time venturing into hitbox/stickless territory. Got my first stick, the Ryu/SFV TE2+, right at the start of the new year and then I got addicted, only two months later and this’ll be my sixth fightstick! This has been a few weeks waiting to upload here. 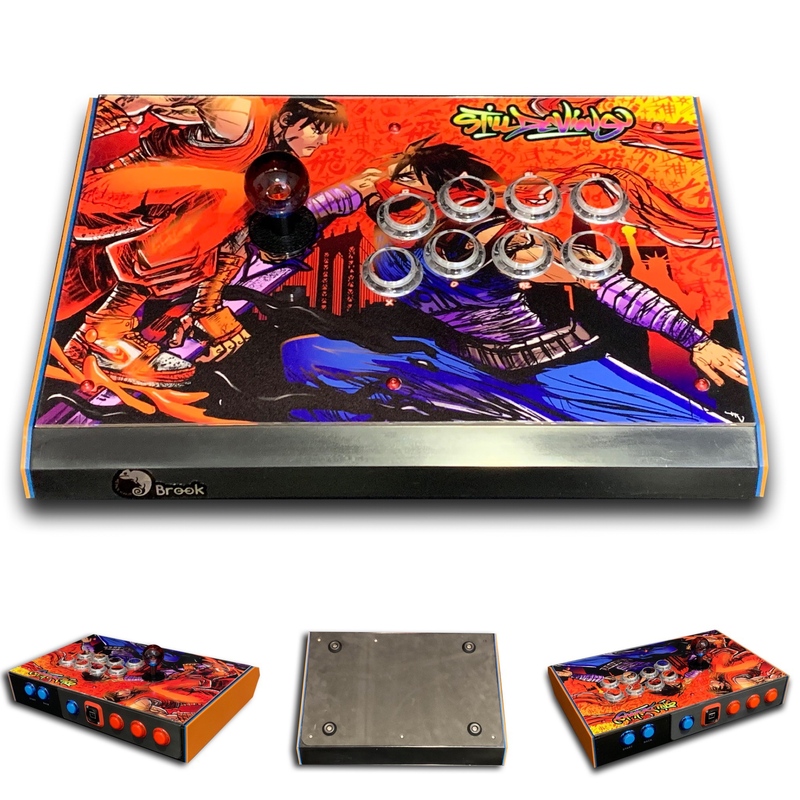 Etokki Omni Korean Edition, Taeyoung Fanta with a white battop swap, Sanwa OBSF30 Green/White plunger swaps, Seimitsu PS-14D menu buttons, plus custom hand-drawn artwork from local player Kyouma. Got the buttons from MAK Japan while I was there, which literally cut the cost on parts to customize in half. 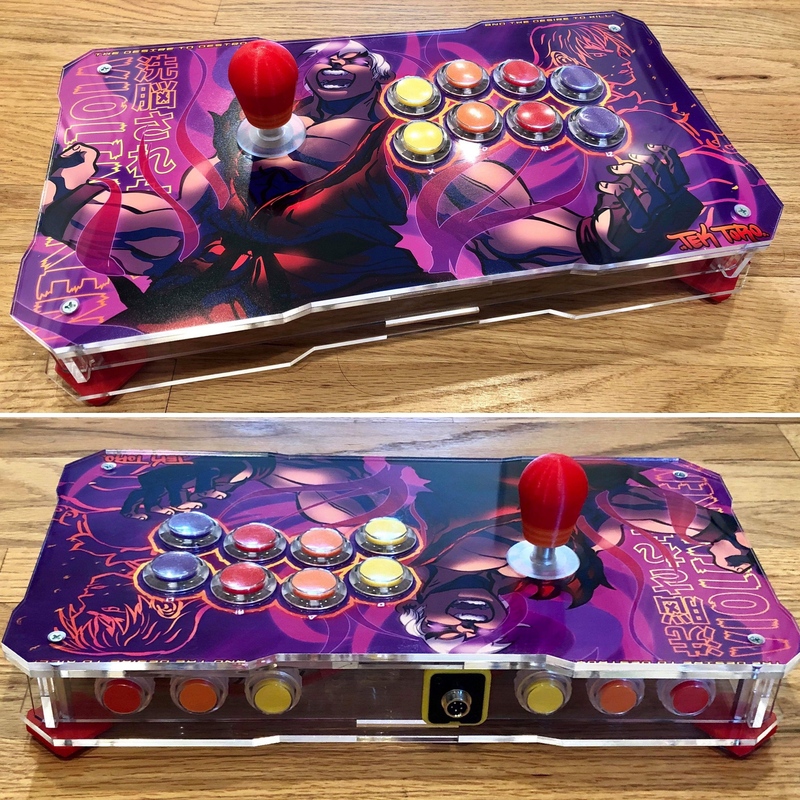 Also saved on shipping by having @laugh give me the battop via @mintcheerios at Evo Japan. 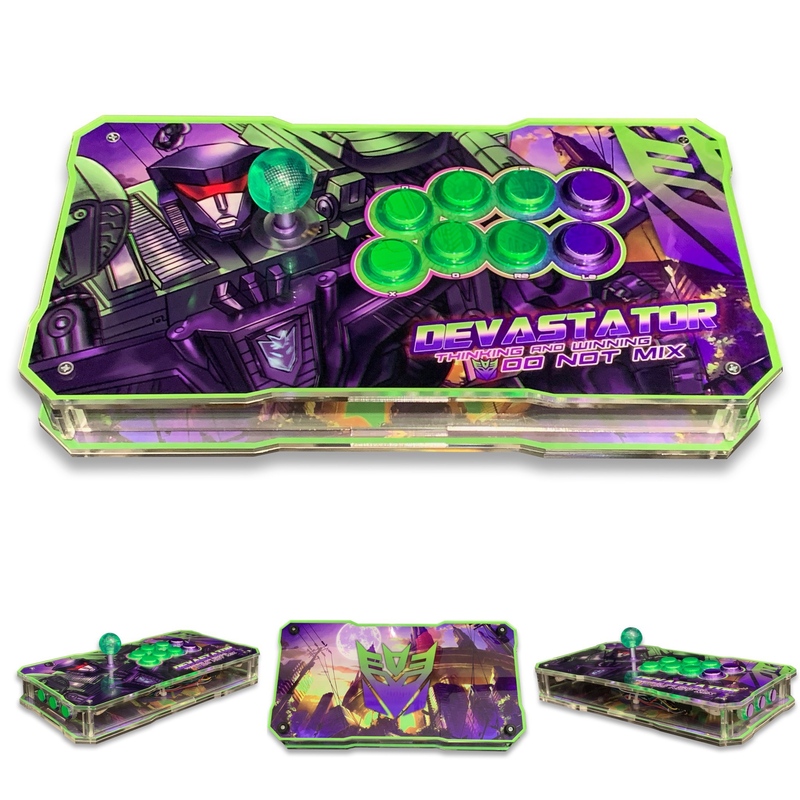 Definitely my favourite stick in terms of casing, customization, and parts I’ve ever owned. My newest build! 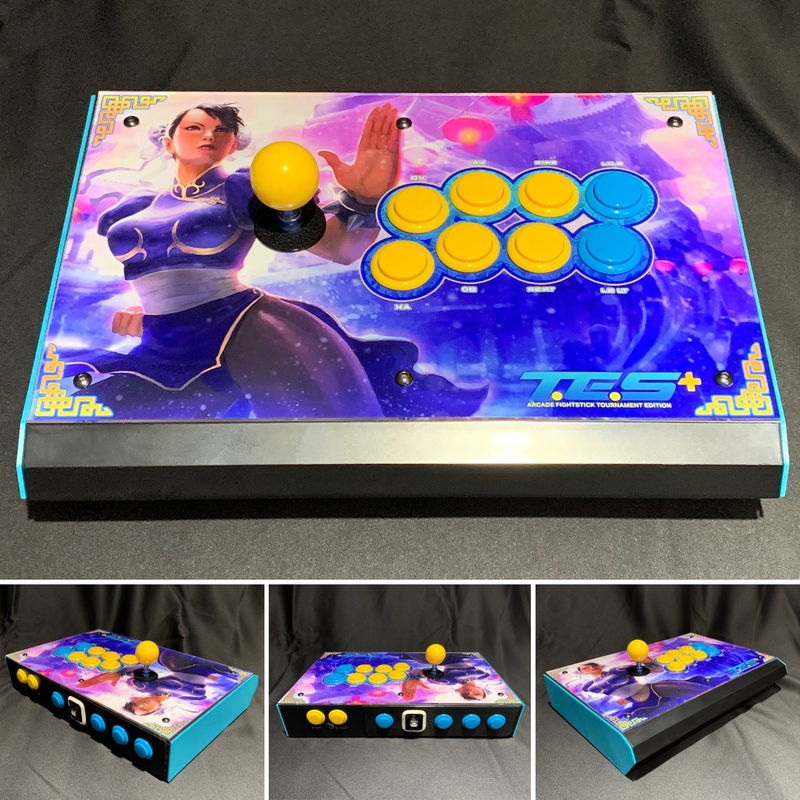 @jonyfraze Korean BNB, artwork by JxK Designs, golden lever, 3d printed sides and some LEDs. Hey SRK Fam! Been MIA here (my bad) but here’s some recent art/build projects we finished up to start 2019. Very cool sticks. Devastator’s face looks way off though. Going through color pains 'cause you know how it is. At first I had it with just a blank Turbo panel, just a metal piece held underneath for suture mini vandal buttons but I opted for the HRAP2 PCB to make it more official. The thing is the shell is from a T5JP that was yellowed to hell, proceeded with miracle earser cleanup and then whitening Vol40 12% crème and this is the result, it’s an Ivory look of sorts, so I went with it and complemented the shell with inspiration from 70’s hardware and what have you. The vinyl is all different brands, all drawn and cut by hand, I’m still very new to this sorta work, really dull exacto knife didn’t help. Plenty of mistakes were made but I really wanted to give button surround art a crack, I’ve doe simple overlays and tape work like the one in the center stripe but nonetheless, cutting all these intricate curves with just jars and round stuff was a challenge, McGuyver would be proud, lol. Heavily inspired from Polaroid, Betamax and late 70’s spirit. 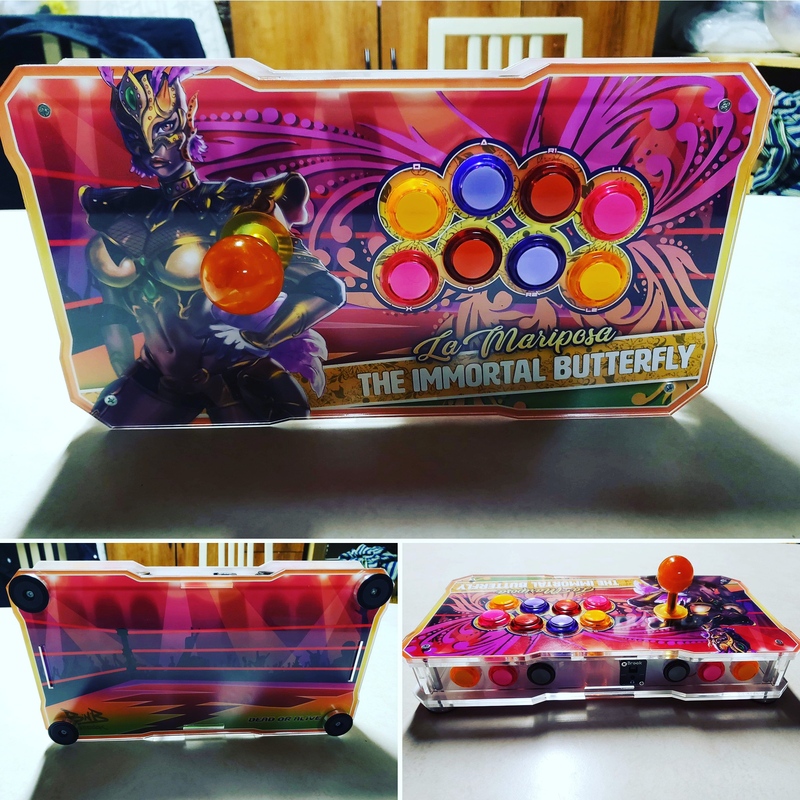 Here’s my updated Qanba Obsidian. Specs are below.